White jersey, black shorts and the tennis shoes, he is just like a professional tennis player. 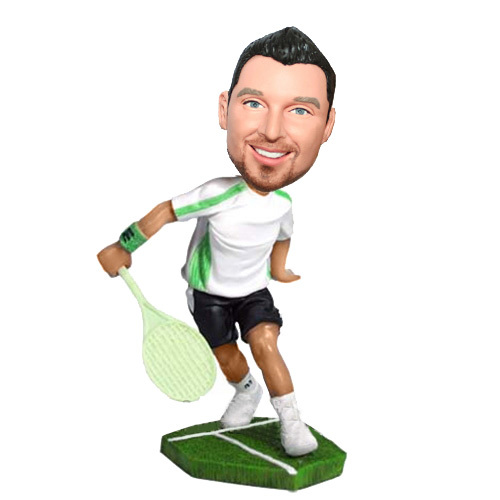 By the way,this custom male bobbleheads is holding a racket in its right and is performing a back hand swing. It will be the most excite monment.Just submit your photo and propose your instructions,you will be own one of yourself.